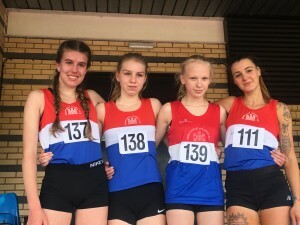 We had just one Senior athlete compete at this years Staffordshire Track and Field Championships held at Wolverhampton. New recruit Leah Whiston took part in her first track race for a number of years and was rewarded with county gold in the Senior Women’s 1500m in 5.05.4 mins. Congratulations and welcome to the club Leah.